It is important to consider which university or college you need to target. 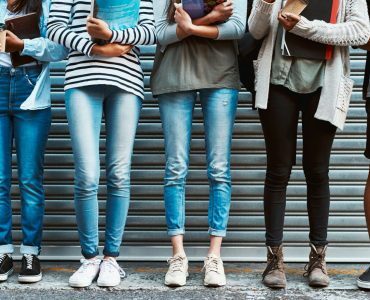 There are a few considerations here such as geography, student population and even the type of student you want to target. It can be as simple as the largest universities or colleges in the UK or it could be as specific (for example) as wanting to target engineering students only. EXECUTIONAL can help on that side, using statistics for universities and colleges nationwide to help choose the right institutions. When we say off-campus we are not talking far away, with the majority of off-campus activity happening only a few meters away from the main entrances of the campus. The main point of off-campus activity is to reduce costs and not require the payment of on-campus permission costs to carry out activity. Leaflet distribution, tactical product sampling, voucher giveaways, data capture and any activity that doesn’t require a fixed space work well at these locations. 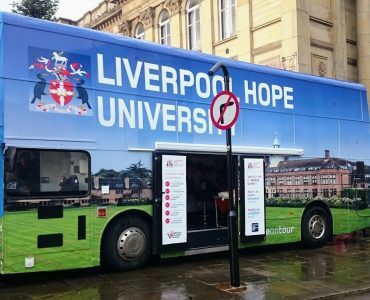 But if you are planning an experiential roadshow with a branded vehicle, you want to invest in permission costs and guarantee a fixed space within the university or college campus (there will be more on this in our On-Campus Guide). Don’t Forget The Surrounding Student Areas! As well as being a few meters away from the campus entrance, there are also the surrounding areas and commuter links to think about as well. EXECUTIONAL often provide additional supporting activity in the areas surrounding universities and colleges, with student promotions placed at the major commuter links (bus and train stations) that lead to campus. There are other options too, for example, we can display print materials and posters into local student stores to further bolster your student promotion. Being off campus and without paying for promotional space, requires planning of a student promotion that will allow the staff to be mobile. With leaflet distribution, tactical product sampling, data capture or social media engagement pieces being the main options for this tactical activity. Don’t get us wrong, you can still be sampling cooked food (from a branded catering vehicle, which can easily move if required) but we have to air on the side of caution about what is possible in this tactical environment. Whatever tactical activity you carry out don’t forget visibility – think large promotional teams, engaging promotions, high quality branded clothing, wearable branding such as mobile billboards – all of which will help your brand stand out and reach the targeted student audience. We are often surprised at how this simple but hugely important consideration is overlooked. We always recommend that activity takes place from approximately 11 am onwards. This keys in nicely when first lectures are beginning to finish and the vast majority of students are heading to their college or university campus. 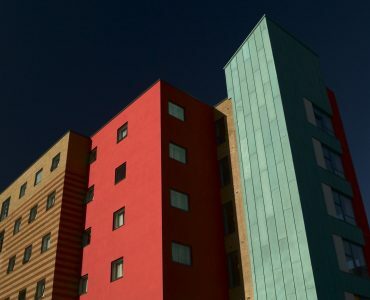 We would always be conscious of activity (especially at universities) on Wednesdays, as this is often the day of the week that sports clubs are active meaning – footfall may be varied at the main campus locations. Guerrilla Marketing or Monkey Business?